On Tuesday, November 15th, the USA Network will premiere its brand-new series Shooter starring Ryan Phillippe. The series is based on the novel Point of Impact by Stephen Hunter, and the 2007 film Shooter that starred Mark Wahlberg, who is also an executive producer for the series. In the series, Bob Lee Swagger, a highly-decorated veteran is coaxed back into action to prevent a plot to kill the President. When Swagger’s former commanding officer Isaac Johnson solicits his expertise in a clandestine operation, Swagger discovers that he is has been framed and must do everything in his power to protect his family and clear his name. One of the stars of the series is actor Eddie McClintock who plays Jack Payne. Eddie McClintock has built an impressive resume over the years in film and television. He most recently starred as Pete Lattimer for five seasons on the hit Syfy series Warehouse 13. He’s also appeared in series such as Stark Raving Mad, Desperate Housewives, Castle, Modern Family, Friends, Spin City and House. He will also be reprising his role as Special Agent Tim Sullivan on an upcoming episode of Bones. We sit down with the veteran actor to talk about his new series and his character Jack Payne, what he did to prepare for the role and his thoughts on the series being delayed due to the horrific shootings in Dallas. Pop Culture Principle – What was it about the script for Shooter that made you want to sign on to the series? 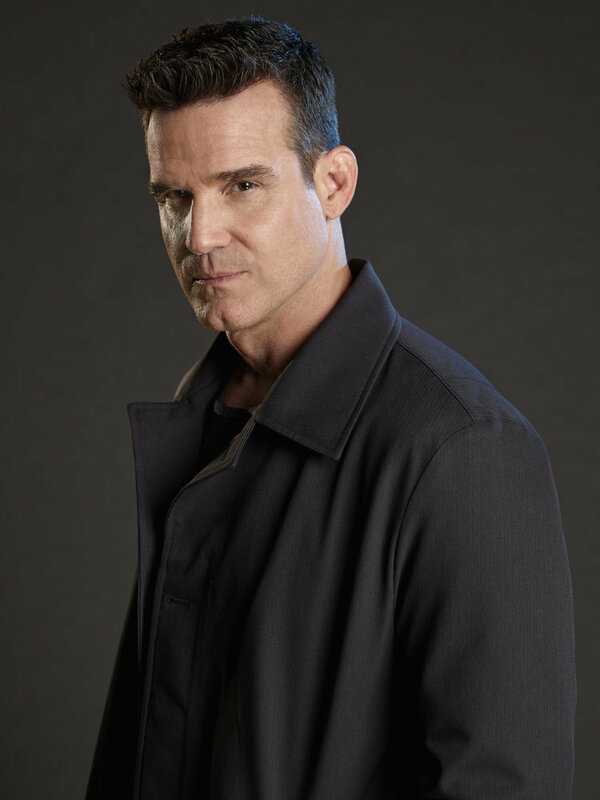 Eddie McClintock – Well first off all, I thought it was well written which is always initially the most important thing. If it’s not well-written and doesn’t speak to you, I’m not sure that will be the job you want to take. It’s funny, when I auditioned, I was sent Omar Epps’ role. I went in and read his role and I had a really good meeting with John Hlavin and we kind of hit it off. He seemed to like what I had done for the audition. So, as an actor I went home and spoke to my manager and told him I had a really good meeting with John Hlavin and thought that this might move forward. When it did start to move forward and we were figuring out the contract stuff, they mentioned the character Jack Payne. I was thinking to myself who is Jack Payne and I found out through my manager that this was the character they were going to give me. When I went back through the script, he’s not in the pilot as much as Omar Epps’ character. I went back in and talked to the director Simon Jones and also John Hlavin and we talked about what their vision for Jack Payne was. I also got to tell them how important our veterans and veteran affairs are to me. It just seemed like the right thing and they were just great about it. They put out this picture of me with the American flag behind me and I guess I can get a little sappy when it comes to my love of veterans. My uncle Bob was a captain in the Army and flew cobra helicopters. He did two tours in Vietnam, was shot down and did 400 combat missions and he was my hero growing up and I wanted to be just like him. In 1978, my dad took me to see Apocalypse Now and the character Colonel Kilgore reminded me of my Uncle Bob. So, to see my picture with the American flag behind it, I am very proud of that. Pop Culture Principle – What can you tell us about your character Jack Payne? Eddie McClintock – He’s former military and he’s been recruited by a government agency. We really aren’t sure which one he really works for. I told someone that Jack Payne is like a butcher who goes to work at a slaughter house. He goes to work every day and doesn’t really have feelings about what he’s doing to those animals. He’s worried about picking up his daughter or paying his rent on time. Most people would be upset by what he does to the animals, but there are no feelings either way on his part. Jack Payne pretty much has the same attitude with humans. He does his work; he does what he is told and he has no feelings about it either way. I think he actually enjoys what he does and I would say he’s probably on the sociopathic scale somewhere. For him to do what he is able to do, I think takes a bit of desensitization to human life. Pop Culture Principle – Based on the first few episodes we’ve seen, it seems that your character isn’t in this for the money or power, but just the fun and thrill of it. Would you agree? Eddie McClintock – Yes, absolutely. I think that is part of it, but as his window of options begins to close, he begins to start figuring out the maneuvers that are going to make it possible for him to live the rest of his life comfortably and not end up in the ground. His self-preservation skills are kicking in. Pop Culture Principle – Have you ever played a character before like Jack Payne? 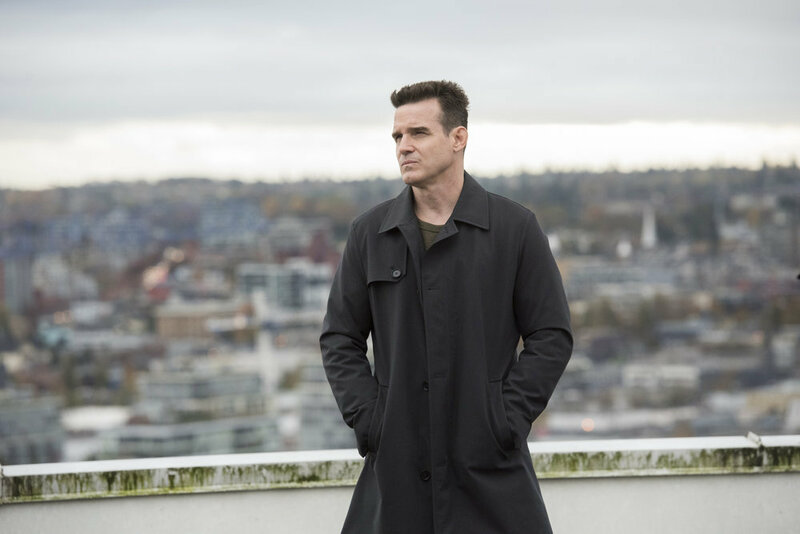 Eddie McClintock – I did a show way back in the day called Glory Days from Kevin Williamson. I did a one-off episode and played a serial killer who would paint these paintings with his victim’s blood. I would say that is the closest to someone that is this disconnected. The thing about Jack Payne is that there are parts of Pete Lattimer in there in that he does what he does with joy. I think as a viewer; you end up being conflicted because you kind of like the guy. He does terrible things, but every time he comes around, he does something that will make you laugh. I think if there is comedy in the series, it comes through Jack Payne. Pop Culture Principle – The role of Jack Payne seems to be a physical role. Did you enjoy that aspect of the role and did you do any weapons training to prepare for the role? Eddie McClintock – I didn’t do anything through production, but before we started, I have a friend who has an AR-15 and a Glock and several other weapons. The character of Bob Lee Swagger is somewhat based on Carlos Norman Hathcock who is arguably the deadliest Marine sniper ever in the Vietnam era. While at the range, one of the guys brought out the Barrett 99. It’s not the 50 caliber, but it’s pretty close. We fired it a few times and I can tell you, that will really wake you up. If I remember correctly, John Hlavin had all the writers go to the range and shoot for a day just to get an understanding of what it is they were writing about. Other than that, I didn’t really necessarily train other than my whole life growing up was wrestling and playing football and I wrestled in college and I’ve always been a gym rat and physically active. There is an upcoming fight scene between Jack Payne and Bob Lee Swagger that is pretty gnarly. I was covered in contusions, abrasions and bruises when we got done because I wanted it to look real without anyone getting hurt obviously. I like physical comedy and I like physical acting; the grittier the better. Pop Culture Principle – Shooter boasts an amazing cast including Ryan Phillippe and Omar Epps. What was it like working with those guys? 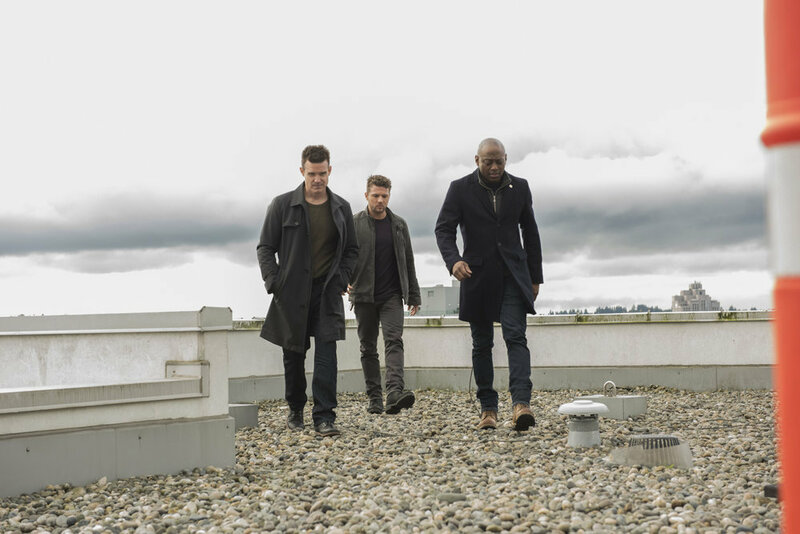 Eddie McClintock – I did an episode of House years ago and I had a little scene with Omar Epps. I’ve always been a fan of his and I think Omar is a great guy and a great actor. Same thing for Ryan Phillippe. He’s a cool guy and welcomed me into the show. He’s one of the producers of the show so he had a part in the decision to have me come in and be on the show. I’ve got no complaints about those guys. They are really great, solid guys and have great careers. Any time I can be associated with good people, I feel like I am moving in the right direction. Pop Culture Principle – The initial premiere of the series was delayed because of the horrific incident in Dallas. What were your thoughts on that incident? Eddie McClintock – I think it was important to respect what had happened in Dallas and show sensitivity in regards to the families and the friends of those officers who lost their lives. I think it was good that we took emphasis off the premiere of our show and kept the attention towards those brave officers who died that day. Pop Culture Principle – Right now, the trend in television is to adapt feature films into television series. There have been successes and some failures. Did you have any concern about this particular series being adapted from a feature film? 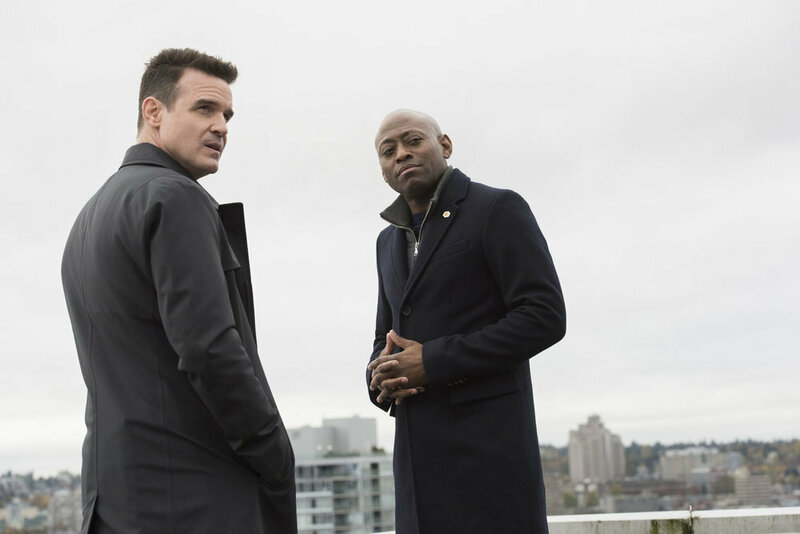 Eddie McClintock – Well, it’s really not my responsibility to go there. I think if you create something compelling and something that has substance and is entertaining, it’s up to the people to figure out if they want to watch it or not. I never really thought about it one way or the other. I will say that in our favor, one of the executive producers of the show is Mark Wahlberg and because of his success, I felt that couldn’t hurt us and thought that it could only help us. He is well respected and is a big supporter of the troops, so I felt like it was a great fit. Pop Culture Principle – What can fans look forward to with the first season of the series? Eddie McClintock – First of all, you are going to get a lot of action. As a viewer, you are going to learn about the men and women that we call heroes. We see that they are really just ordinary people who have been put in extraordinary circumstances and have been given this extraordinary skillset that they now bear the burden of possession. I think we brought together a great cast of characters and the stories are great as well. John Hlavlin is a smart, great guy and I think he’s put together a show that will make people come back every week. We’ve stayed true to the action while giving the viewer a storyline that is equally compelling. We would like to thank Eddie McClintock for taking time out of his schedule to talk with us. 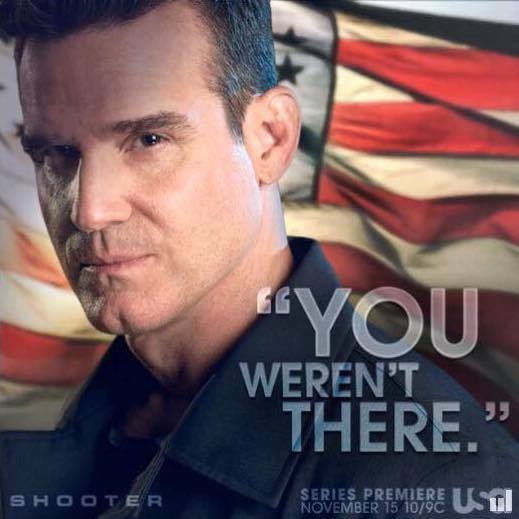 Don't forget, the series premiere of Shooter is Tuesday, November 15th at 10/9c only on the USA Network. If you would like to keep up with all of Eddie's latest news and projects, you can follow his official Twitter @EddieMcClintock. Hi Eddie I saw a post awhile back and it was with you and Jason saying *on the set of Shooter Jason and I grew up together is he only on an episode or is he a regular as well?? He’s been so busy lasted time hed we chatted was on my b-day and when The Cubs won the world series never had a chance to ask him??? ?